Searchlight is a system search and application launcher that can be launched anywhere! Take control of Spotlight! When the system search has no input or is just launched the user can display ‘Recent’, ‘Favorite’, and list all their applications. 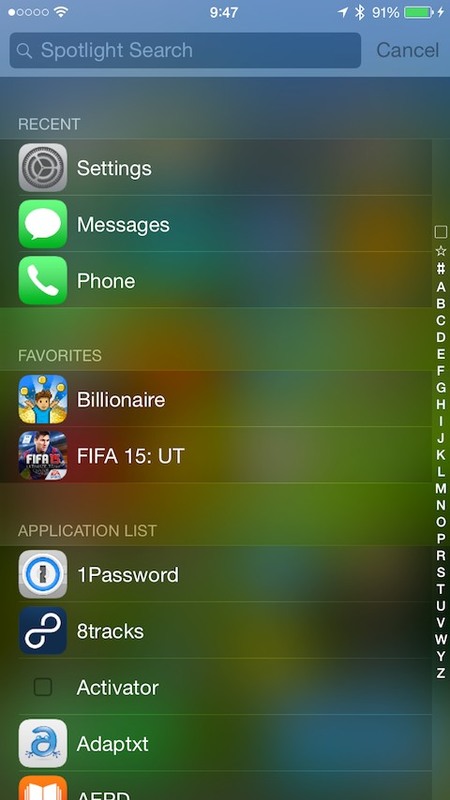 Recent: Never go to the app switcher again! Show the most recently launched applications. Favorites: Put your favorite apps at the top for quick and easy access! Application List: Display all the applications on your phone, with alphabetized indexing! Configure via settings. 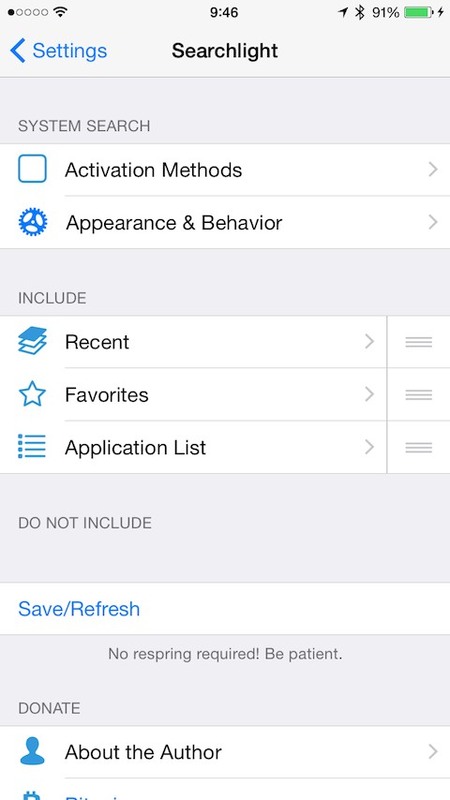 This package uses activator and it is strongly encouraged to disable Activator banners. Rotation/Landscape support are currently “experimental”.